There are a number of professional athletes that are ranked high in the KPR but still won’t be racing Kona: Some didn’t race an Ironman even though they would have had enough points to qualify (“Didn’t Validate”), some declined the slots they were offered (“Declined”). This post looks at these athletes and discusses their reasons for not being on the startline in Kona. To those that can’t race Kona this year because of an injury, speedy healing! Emma has been racing as a Pro in 70.3s in 2014 and 2015, including a 10th place at the 70.3 Worlds in 2015. This season she continued to race well in 70.3s but also stepped up to the full distance, quickly finding great success: Two second places at IM France (behind five-time winner Tine Deckers) and at IM Switzerland (behind Daniela Ryf posting the first sub-9 in Zürich) gave her enough points for a Kona slot. If she continues to learn as fast as she has this season, I have no doubt that she’ll be racing Kona very soon .. and that she’ll be competitive! After a great third place in Kona 2015, Liz was practically assured a slot – provided she finished another Ironman race to fulfill the minimum requirements. She decided to focus on her “home race” IM Cairns that she had won three times in a row from 2013 to 2015. The fact that is was designated the Asia-pacific Regional Championship was another good reason to race there. While she was racing some 70.3s in the months leading up to Cairns, a foot injury kept her from doing proper run training and she was forced to cancel her start at Cairns, instead supporting the race on the media side being part of the IMLive broadcast. Michelle has raced very well in the 2016 season: She started the “Australian summer” with two fifth places in 70.3s, then was sixth at IM New Zealand and almost won IM Australia when she posted a new marathon PR of 3:11 but was run down by Beth Gerdes who ran a 2:56. After a fourth place at the Regional Championships in Cairns she had more than enough points for a July slot. Beth seems to always be on the edge of Pro Kona qualifying. 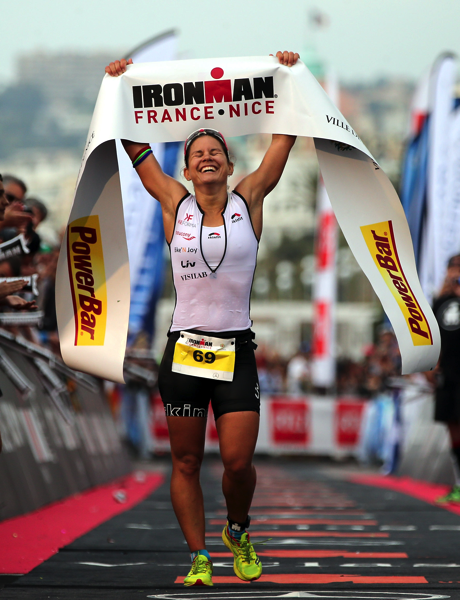 Last season she had to do a lot of racing until she finally secured her slot by winning IM Switzerland in late July. After a 15th place in Kona she focused on 70.3 racing for most of the Australian summer. In May she was able to get her second IM win by running a spectacular 2:56 marathon at IM Australia – followed by getting married to fellow Pro Luke McKenzie. After that she wanted to defend her Switzerland title, but things didn’t go to plan and she took “a mind and body break”. This left her on the edge for July qualifying – after all the racing was done she ended up in the final July slot. While Beth initially accepted her slot, she was forced to decline it a few days later. In early August she wrote on her blog: “Just as I was hopeful that things were starting to pick up again, I got another doozy. I have a pretty large cyst that needs to be removed with a minor surgery. As it is in the ‘saddle region’- no cycling for 4 to 6 weeks. Just under 10 weeks out from Kona, that’s a deal-breaker for me, especially on top of all the other things I have going on right now. So, although I accepted a July qualification spot, I am returning that slot to another deserving woman.” For now Beth is focused on helping husband Luke in his lead-up to Kona. 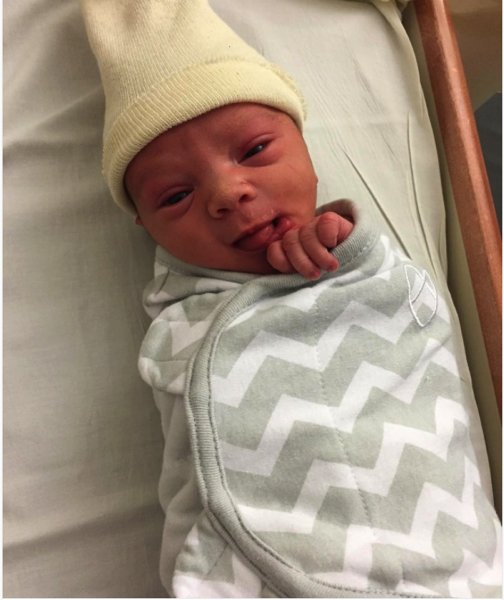 Congratulations to Rachel and Brett, enjoy this new exciting phase in your lives! When Chris was lining up for IM Mont Tremblant, he had scored a decent number of points in 70.3 races (including a second place at 70.3 Boulder) – but I considered his chances of qualifying as more as less theoretical as it would require a win in his first Pro Ironman against a very good field including defending Champion Jordan Rapp and a number of other, more experienced athletes looking for Kona points. But winning the race is exactly what he did, storming into first place with a 2:45 run on a day when there were only three sub-3h runs. This was enough for him to move into the 10th and final qualifying spot in the August KPR. Caroline has had some great results in Kona, coming close to winning in 2010 (when she finished second to Miranda Carfrae) and 2012 (second to Leanda Cave). She’s been eying the top spot for a while, and her two 5th places in 2013 and 2014 were almost disappointments for her. Her 2015 season didn’t go to well with a lot of little injuries and sicknesses, in Kona a stomach bug only allowed her to finish ninth after a long, hard day of grinding it out. For 2016 Caroline took a different approach. She decided to travel not quite as much and to focus on 70.3 racing, winning or finishing second in a long list of races. She finished a very respectable fifth in the 70.3 Championships in her adopted home town in Mooloolaba. Under the guidance of her new coach, Daniel Plews, expect her to be back to Ironman Hawaii next year – and to be a serious contender for at least a podium finish! So far Matt hasn’t had much success racing Kona as a Pro. 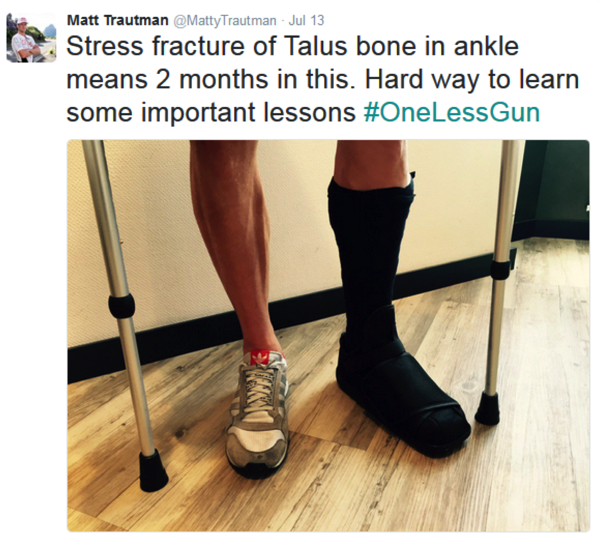 He turned Pro after he was the second fastest agegrouper in Kona 2013, last year he qualified but then broke his collarbone in June, still managing to start in Kona. After being in the second pack in the swim he tried to catch the lead group with Marino Vanhoenacker, Bart Aernouts and Ronnie Schildknecht but thinks he “overcooked in the heat”. Similar to the athletes he was riding with, he ended his race shortly after the start of the run. At that point his hopes for Kona were slim and by the end of July he declined his slot. 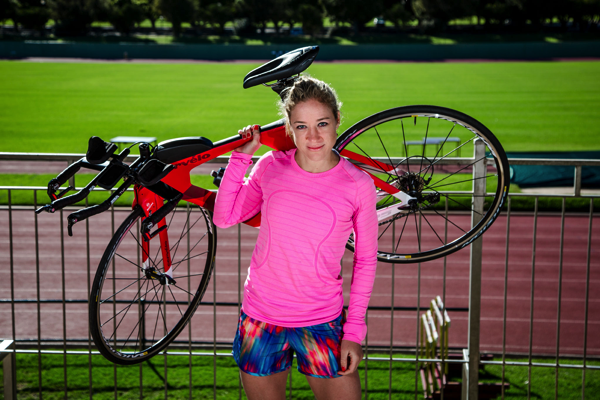 Annah didn’t take long to adjust to the new level of racing: Her Pro debut was a 3rd place in 70.3 South Africa in January 2016 followed by an 8th place at her home Ironman in Port Elizabeth. This summer she won 70.3 Durban, was 9th in 70.3 Vineman as part of her build up towards IM Lake Placid where she finished second. “I have used every race this year as validation of my decision to race professionally and I feel that although I am making gains, there is still a big gap between myself and those top girls. I had to change my mental state, from ‘oh my goodness, these are all the athletes I looked up to’ to ‘these are my competitors, I am ready to race them’ – it is getting there but has been a real challenge.” Even though she was short of the cutoff in July and didn’t race in August, she received the last August qualifying slot which she declined.